Okaaspain, tienda online de merceditas o bailarinas tipo angelito en lino para ceremonias. 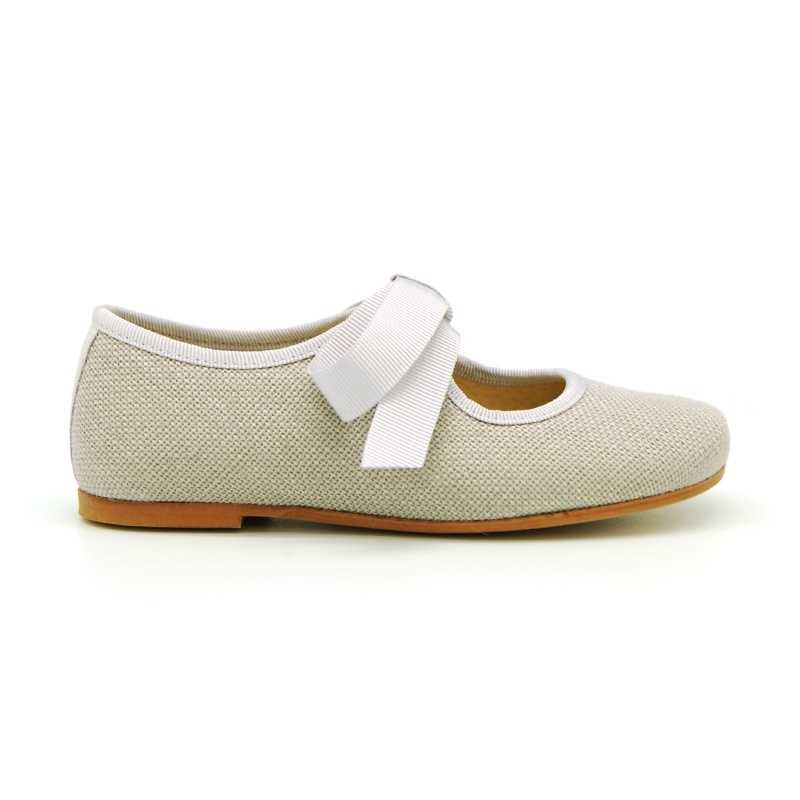 > First Steps>Mary Jane>Little Angel style ballet flat shoes in LINEN with ties closure. 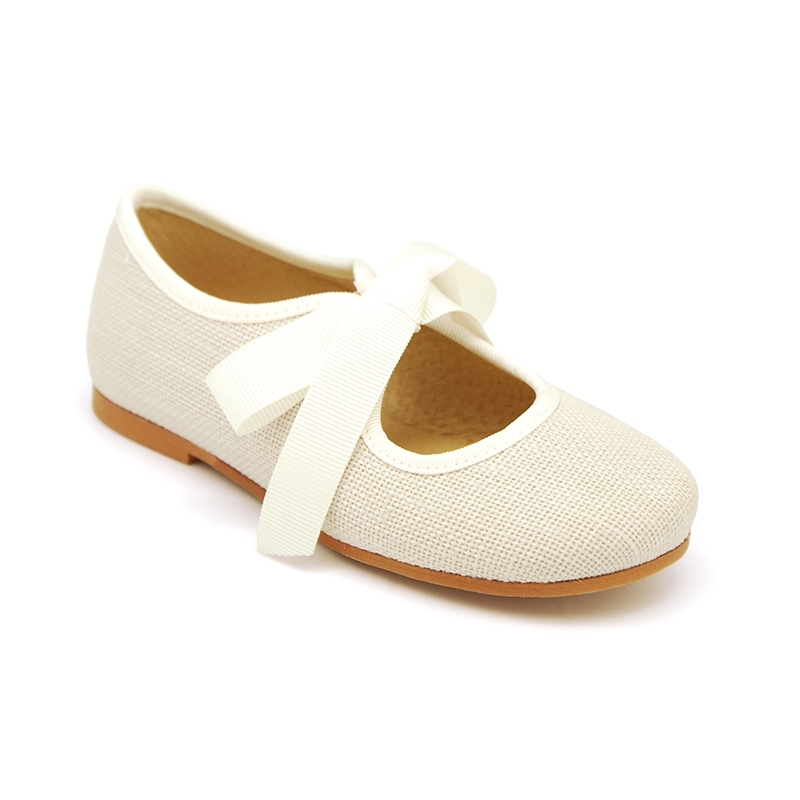 Little Angel style ballet flat shoes in LINEN with ties closure. 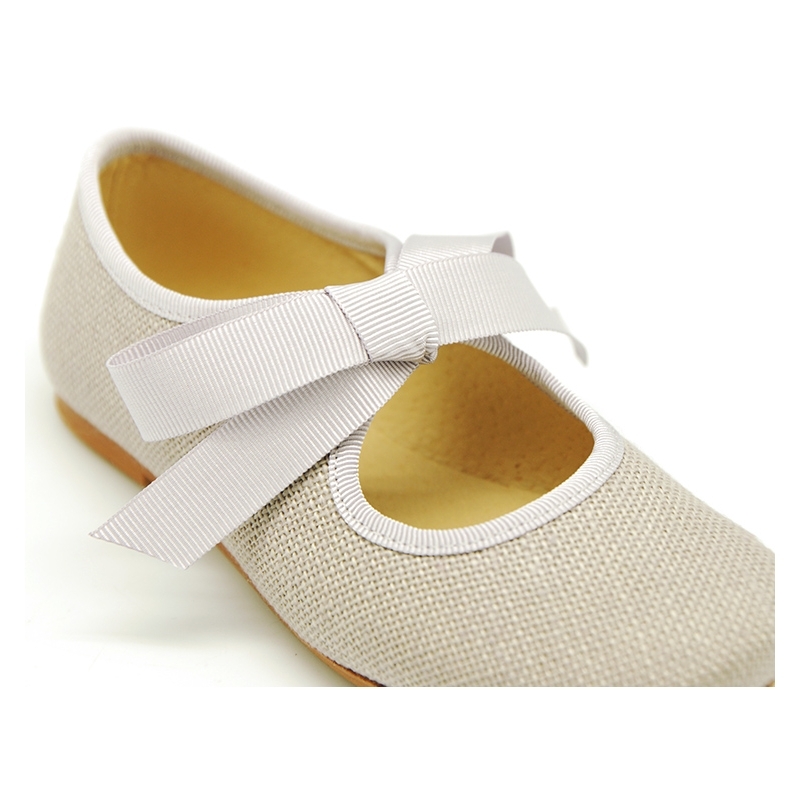 Little Angel style ballet flat shoes in LINEN design and ties closure for CEREMONY. SIZING SMALL. 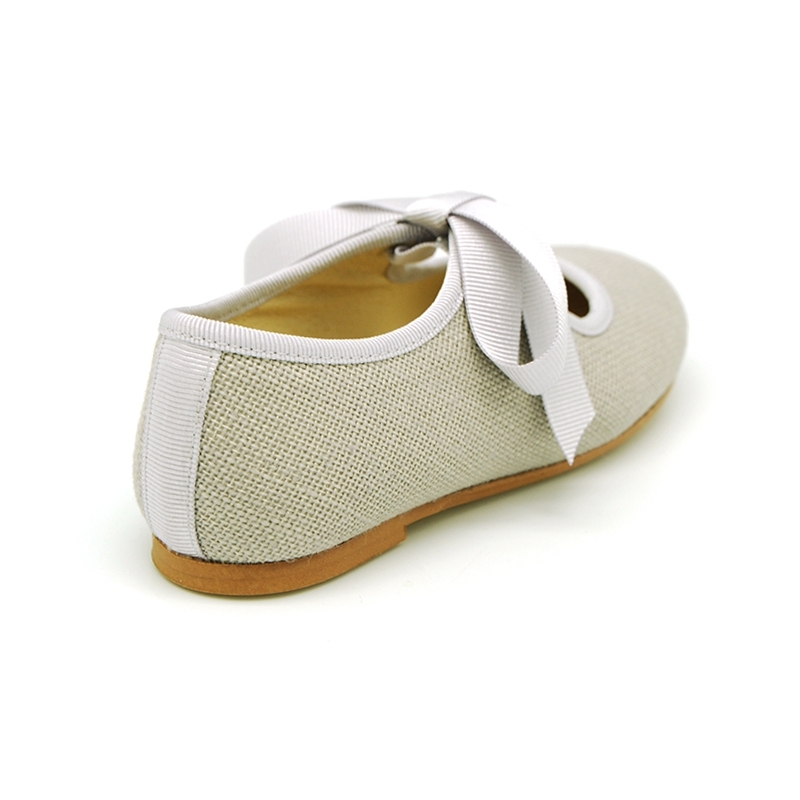 More info about Little Angel style ballet flat shoes in LINEN with ties closure. 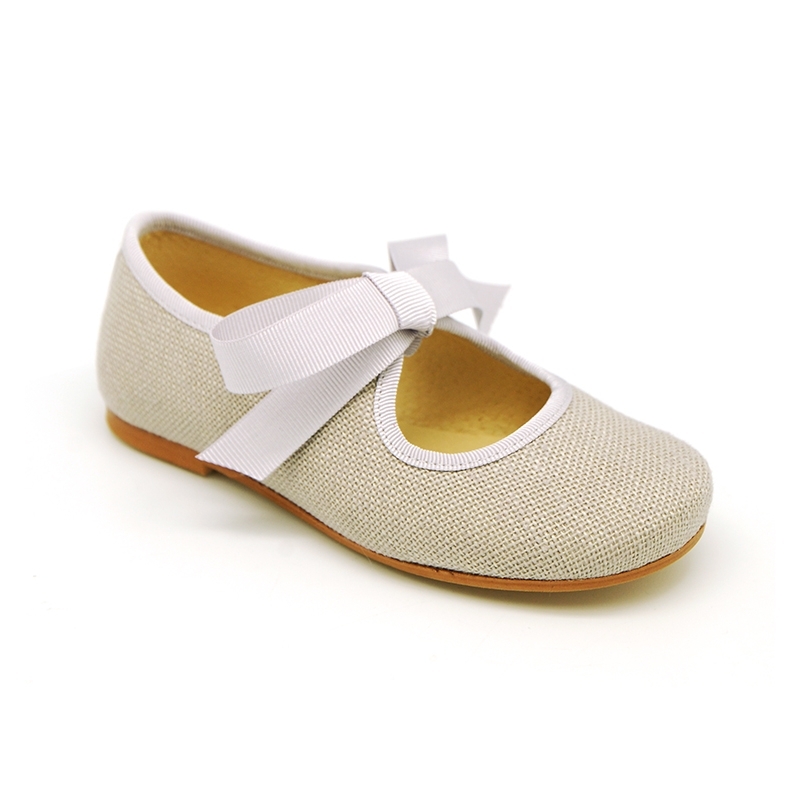 Little Angel style ballet flat shoes or little Mary Jane shoes in LINEN design and closure with ties for little and girls for CEREMONY. 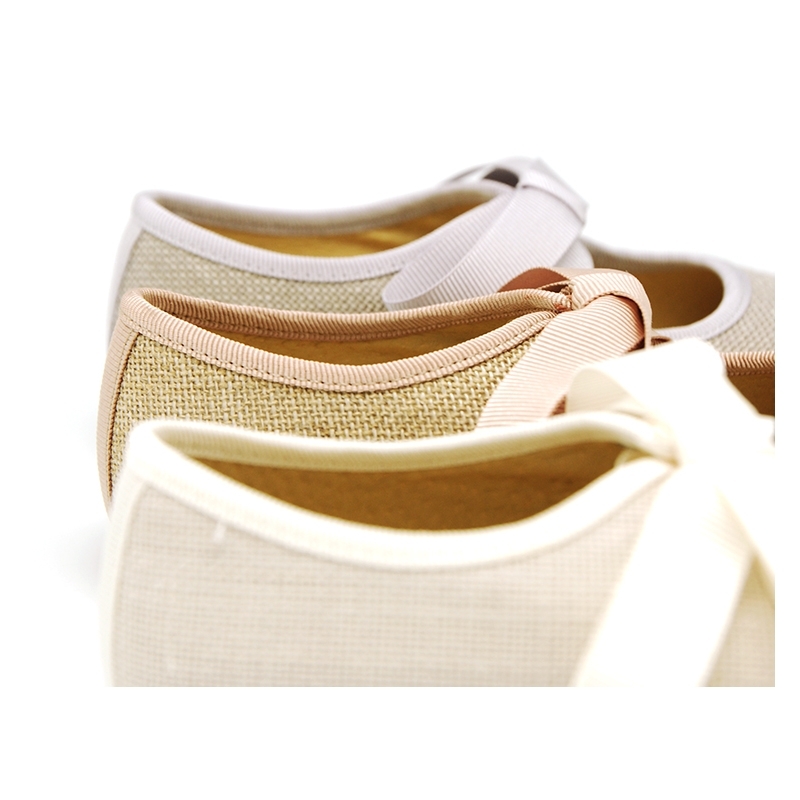 Made up of 100% natural Linen textile with high quality finishes. Very practical, comfortable and easy to combine with all dress. With ties closure with grosgrain design for a better grip. It´s a very elegant model. Perfect to dress with every garment this spring summer or for special occasions. Fully lined in leather and textile with leather padded footbed for a good perspiration of their feet and a better confort. Outsole made up of high quality non-slip texturized rubber for smart dress. Available in 3 colors. Range of sizes: 23 Euro size to 34 Euro size. SIZING SMALL, we recommend to choose a bigger size to regular one. Data sheet about Little Angel style ballet flat shoes in LINEN with ties closure. 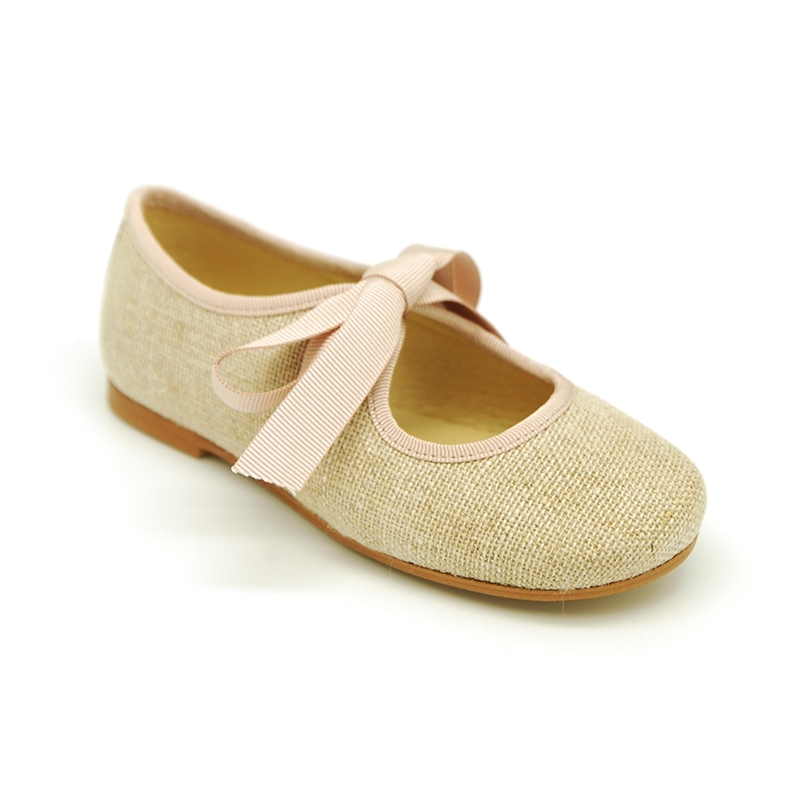 Medidas sobre Little Angel style ballet flat shoes in LINEN with ties closure. Merceditas muy bonitas, relación calidad-precio estupendo. Entrega muy rápida y excelente servicio de cambios. Tuve que cambiar la talla y sin problemas. Seguro que repito compra. No quedan de la beig el 27? Cual es el color más oscuro el camel?